Choosing a business name can be challenging. It’s also critical to success because names hold power. Human beings are hard-wired to seek meaning in names, symbols and colours. It’s rapid and unconscious. This is why it’s worth the effort, time and trouble to choose your business name with care. It could also save money in the long run. After all, it could be very expensive to change a brand name that has backfired! Brand names are critical to success, because names hold power. developed a fantastic concept for a new business. got a great idea for a new product or you’re ready to launch a new service. You test your ideas with people and they always ask ‘What is it called? And you know instantly, from the ‘aha’ reaction or the polite smile, whether your business name works well. Of course, your brand consists of more than just a name, just as it consists of more than just a logo. The best brands create a special relationship with customers, based on intangible qualities that evoke strong emotional responses. 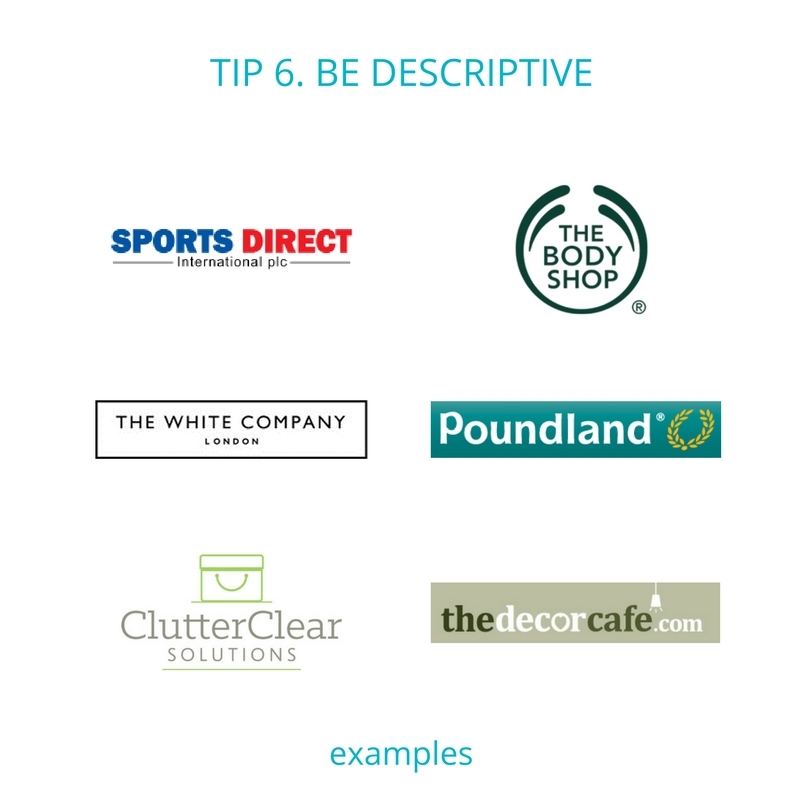 The list includes tips we have found useful in brand naming. It is not designed to contain every single type of brand name. There are no magic fomulas or short cuts to success. Remember the well-known marketing secret – your business, products and services will evolve, because your customers, competitors, markets and technologies will change. Nothing stands still. Ever. This is probably why you’re launching a new product or service. And this is why your brand name has to last. Even though your brand logo and your brand strapline will be refreshed every 4-5 years. Their product range has expanded and in the process they have added more meaning and value to their brand name. In some business categories such as fashion, coaching, interior design and advertising it is almost the norm to use the name of the founder. It is rarely a handicap – unless the founder, or their family cannot transition to a larger scale of business. Instantly add cachet, colour or personality to your business by using an existing name. In the short term you can appropriate it’s positive connotations. Over time you will add your unique brand values and personality. Is the business name easy to say? So people can say it out loud with confidence and pride. If they struggle to pronounce your brand name it could create resentment or worse, turn into a joke. Allowing customers to write it down with ease, so they recommend your business and find it easy to search for it online. Can you remember the business name? You want people to remember your brand name (and not the brand name of your competitor). This tip for your business name works hand in hand with Tip 4. It’s all about convenience. We often have a tendency to abbreviate names to save time. This tendency could help you choose a business name that is authentic and relevant, yet still contribute to spoken ease and memorablity. 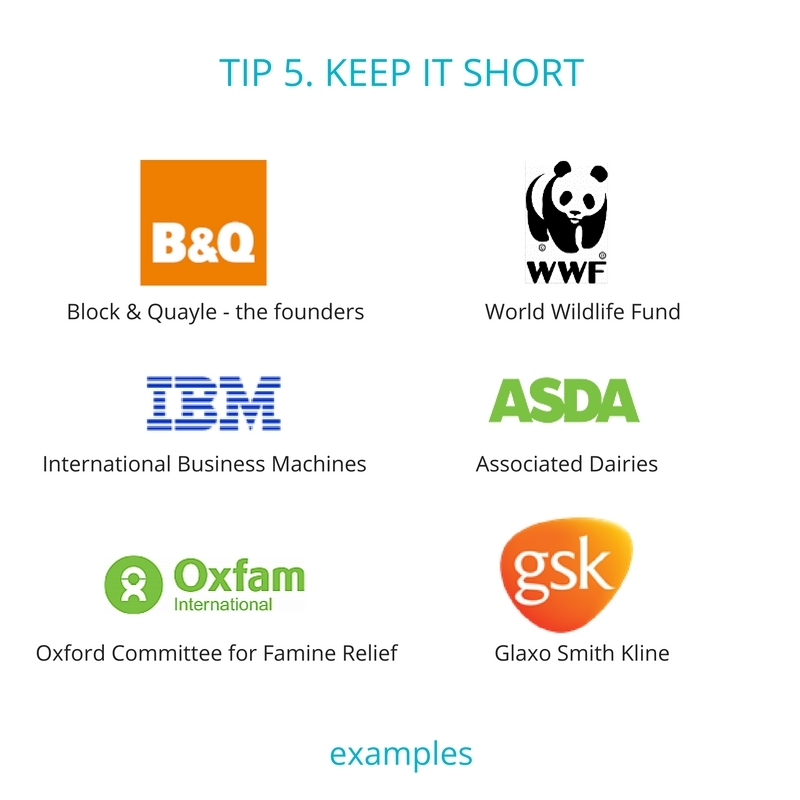 Here are a few examples of short business names or acronyms – B&Q, WWF, IBM, Asda, Oxfam and GSK. The only note of caution here, is to be mindful of Tip 1: Be strategic. Avoid busienss name ideas that could restrict future growth opportunities. This is a great option to create a unique brand name for your business, product or service. A new word is particularly appropriate for young disruptive businesses who are pioneering new products or services. This option has worked extremely well for businesses founded some time ago. It may be a good option to explore when nothing else seems to fit! A made-up name could create curiosity amongst customers or a talking point. Although it may need a little bit of explanation in marketing communications early on.. When you decide to invent a new word for your brand name, it is essential that customers feel the new name really does fit your products and services. Invented names could be based on merging the names of ingredients – like Persil or Oxo. 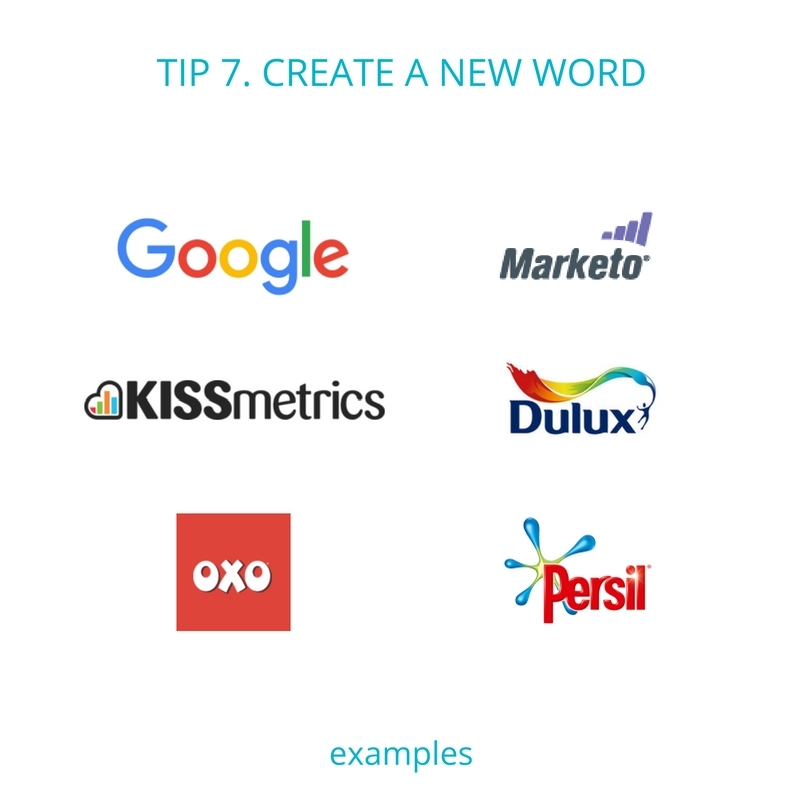 Or you could put two words together to create a new word – like Dulux (DuPont and Luxury) or Kissmetrics. And of course you could create a single word such as Google or Marketo. How do I create my new brand name? There are quite a few start points for generating name options for your business. The option you choose depends on the size of your business and how creative you want to be. Is the business name already registered? In the UK, Companies House is the place to use. Has the domain name has been registered? We use LCN. Once you have completed these checks and have positive results, you will have a shortlist of viable names ready to research further. Choosing a business name is a strategic decision. Remember to ensure the name is capable of evolving as your business grows and expands with new products and services. 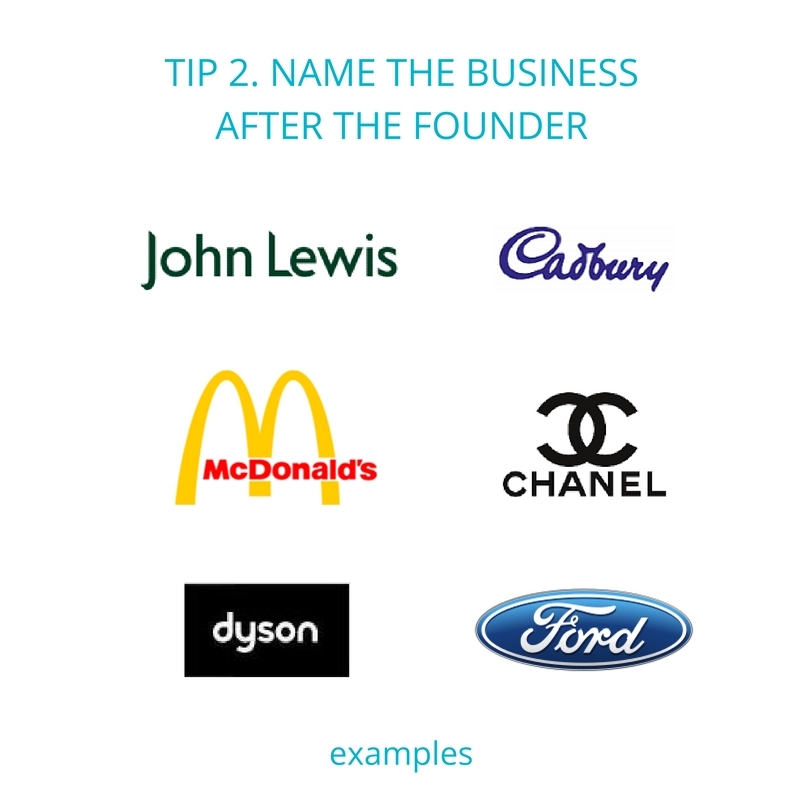 Choose a business name that will last – because it could be an expensive exercise to change it. Aim for your brand name to have meaning and relevance for your business and for your customers. Try to have a name that is different from competitors’ names. Ensure your brand name is easy to say, spell and remember. Always check that you can register and protect your new name. Have fun with choosing a business name. Do let us know how you get on. Or if you prefer to get specialist branding help, please do get in touch here. We publish a monthly newsletter with hints, tips, news and views on all things branding. We’d love to stay in touch. Please sign up here if you’d like to receive a copy. We never share emails and you can unsubscribe at any time. Lynne is the Brand Strategist at Big Idea Brand Marketing. She helps business owners to create, refresh or reinvent their brands, with the aim of developing brands your customers love. And this work always starts with strategy. Lynne will help define your brand strategy, brand values and brand personality - and bring these to life in your brand identity, visual branding, brand messaging and marketing materials. "I would highly recommend Lynne to anyone who takes their brand seriously"